Much to the chagrin of fans all over the United States, Proctor and Gamble (Max Factor's parent company) announced in the summer of 2009 that it would be pulling Max Factor from store shelves in early 2010. According to industry reports, the line does not sell as well as some of P&G's other assets, namely Cover Girl. It will, however, continue to be sold in international markets, where it generates billions of dollars in annual sales. Needless to say, it won't be a pretty sight when thousands of Max Factor aficionados find themselves searching high and low for replacements, or, in many cases, discontinued items. Visit the following Web sites from time to time to check up on their updated stock of discontinued or hard-to-find merchandise. Note that rotations change frequently, so if your heart is really set on a particular lipstick it's best to check often. Beauty Encounter is a one-stop shop for all things beauty related. 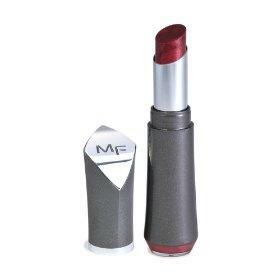 Search by brand to find a vast selection of Max Factor cosmetics. Break it down to search specifically for lip products - you'll find everything from the best-selling Lipfinity products of old to the beloved Moisture Rich lipsticks (all discounted). Buy Me Beauty offers a fairly outstanding selection of Max Factor merchandise, and you can expect them to continue to do so as long as the line is still manufactured in the United States. MakeupAlley can be quite the find if swapping makeup doesn't bother you. The community is full of passionate makeup lovers who trade their gently used, unloved or, in some cases, brand new beauty products for items they think they really will love. If you're on the hunt for discontinued items, this is a great place to check. Since Max Factor is only being discontinued in the United States, it's worth nothing that the lipstick you love may not be completely impossible to track down. You might be able to purchase it on eBay from an overseas seller or ask a friend or relative who lives abroad to purchase and ship it to you. As you can see, all hope isn't lost for getting your hands on your favorite discontinued Max Factor lipsticks!